Most homeowners get quotes for having their siding replaced in spring and summer. That means that siding contractors are busier in those seasons. Many have as much or more work than they want. Under those circumstances, they write the highest estimates of the year for any new work. In the fall, the business starts to slack off and they get a little more “hungry.” In cold climates, they want to keep their crew working a little longer before shutting down for the year. 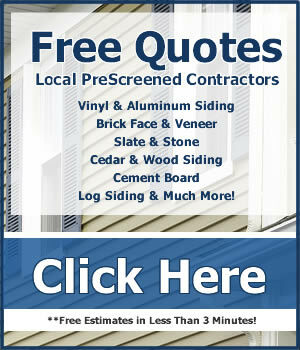 You’ll find lower siding price quotes for installation in the fall, especially when you get at least 3 written estimates from contractor who know they are competing for your business. More good news about prices is that the material is often put on sale in late summer or early fall. Building supply companies want to move out old inventory to make room for winter products they sell or for the next year’s new styles. You might even find clearance deals on very nice siding you’ll love. Vinyl siding expands in the heat of summer. If it is installed in hot weather and nailed too tight, it might buckle or crack when it contracts in the cold weather of winter. The mid-range temperatures of fall are ideal for siding vinyl siding installation, and this principle applies to wood siding too. Gaps in old siding or the lack of house wrap on your home can raise your utility bills this winter. If you have new siding installed this fall, a competent siding crew will caulk gaps in the construction before putting on the new siding. If your home doesn’t have house wrap, this is an ideal opportunity to put it on before it is covered up by the new siding. If you live where winters are mild, then for you, best time of year to replace your siding will be late fall or early winter. In colder climates, you want your siding, especially vinyl siding, installed before freezing weather hits when siding gets slightly brittle and can crack during installation. 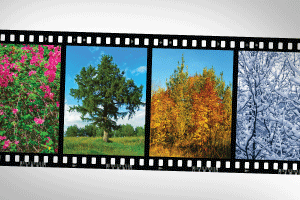 In cold climates, the period from Labor day to mid-October is ideal.